Residence Visa Switzerland | Buy Passport from GCI. We are the world's leading experts in advising foreign investors on Citizenship & Residency by Investment. Learn more about Swiss Residence Visa. Switzerland is the most immigrant friendly country and has been a dream destination and most sought after country for high standards of living, world class infrastructure, political neutrality & freedom and attractive destination for retirement, business investors and wealthy individuals. Switzerland has always been a expensive country to live. Although average individual wealth in the country dropped by 13 per cent since last year, the Swiss remain the wealthiest people in the world, according to the annual Global Wealth Report from Credit Suisse. The high value of the franc played a significant role in launching the Swiss to the top of the wealth index, according to the study, propelling net worth per adult in Switzerland to unprecedented levels when measured in US dollars. The average wealth per inhabitant, as measured by the study, was USD 468,000 and has more than doubled since the year 2000 when measured in dollars. A foreigner from Non-EU country, can get swiss residence permit through lump sum taxation. Switzerland is a very expensive country and only suited for high level investors. The minimum costs start from USD 250,000 per year, plus expenses. The key requirements are to have either employment in Switzerland or to be a person of independent financial means. Non-EU/EFTA citizens may obtain a residence permit on the basis of gainful employment (subject to a strict quota regime), as retirees with pre-existing close ties to Switzerland. Or as financially independent persons who are not gainfully occupied in Switzerland and pay considerable amounts of annual taxes. For non-EU nationals, a Swiss residence permit gives visa-free access to the Schengen area, if their citizenship of origin does not already provide this privilege. Persons who apply for this program should be above 18years of age and those who seek residence permit under retirement must be above 55years of age and prove adequate financial means. Persons applying for this program need to produce long list of identification documents, besides having clean criminal record and good moral character. Foreign citizens who have a swiss residence permit, are allowed to buy real estate property such as apartment or a home, without the need for prior approvals in Switzerland. It usually takes about 3-4 months to get a residence permit in Switzerland. The Swiss tax system is very much in line with the country´s reputation as a center for international trade and finance. Many tax privileges have been introduced in order to attract foreign investment to Switzerland, while there are very few restrictions on Swiss investment abroad. Switzerland also has an extensive network of treaties for the avoidance of double taxation. Offer a fixed fee swiss residence program, where it is possible to get residence permit in Switzerland, upon paying a annual lump sum taxation fee - a minimum of USD 250.000 yearly or more, depending on swiss canton except Zurich. This annual tax fee may go upto CHF 1 million or more depending on the canton and it is irrespective of family of worldwide income or assets. The swiss residence permit is offered to persons of various categories under reitirement, wealthy individuals, or as a Business employee where it normally involves in setting up a a swiss company. Under the lump sum taxation, there is no need to declare worldwide income and assets. We expect our clients to have a minimum of USD 250.000 or more (CHF 200,000) at their disposal, before applying for swiss residence program (corporate or lump sum). Most popular swiss cantons for this program are Appenzler, Bern, Geneva, Fribourg, Graubunden, Jura, Nidwalden, Schwyz, St.Gallen, Vaud ,Valais, Lucerne, Slothurn, Obwalden, Thurgau, Ticino, Zug. GCI from The Consultant Middle East are leading experts in obtaining private residence via our residency programs. At GCI we understand that applying for an alternative citizenship can be a complex and daunting process. That is why we ensure that our service makes the application process as easy for our clients as possible. 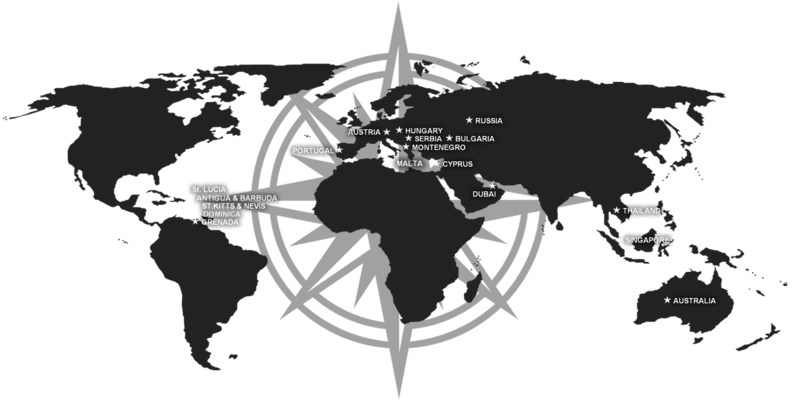 We can arrange meetings in Dubai, London, Zurich, Singapure, Thailand or in Serbian with our clients. Please contact us for appointments or mention in your online application for appointments. Any more questions about the Swiss Residence Program? Please get in contact with us.